February | 2019 | Maureen K. Day, Ph.D.
I’m very happy to have heard from the University of Notre Dame’s Center for the Study of Religion and Society that I was accepted for participation in their April conference. This is a very generous initiative on CSRS’s part as they are paying for all of the expenses of the younger scholars as well as bringing established scholars in to provide feedback on our work. You can read more about the conference (and register to join us!) here. Kate Yanina DeConinck and I reflected on hospitality in a piece for the USD News Notes. 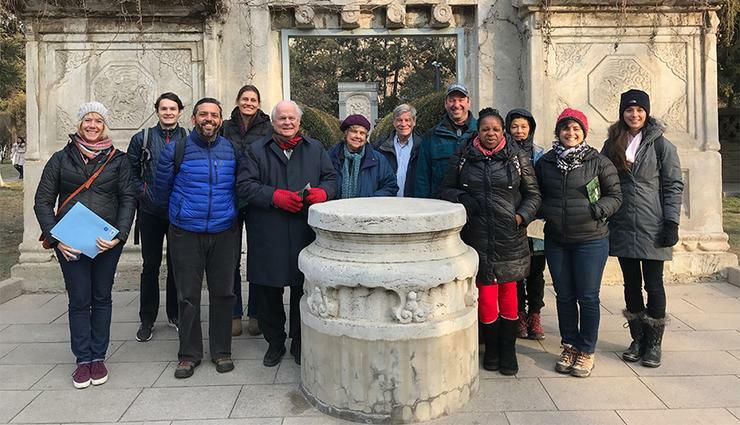 In “Chinese Catholicism — Share the Warmth,” Kate and I talk about experiences of welcome and care we enjoyed when on our immersion trip in China with the USD’s Center for Catholic Thought and Culture. As I said in a previous post, I am very grateful to have enjoyed this opportunity. The most recent edition of The CARA Report featured two of my projects. First, my edited collection, Young Adult American Catholics, was featured. The summary highlighted discussed the major parts of the book as well as highlighted the contribution of CARA senior researcher, Mary Gautier, as an example. You can read the report here. Second, some findings from the report on the USCCB national study of Catholic campus ministers, co-authored with Brian Starks, were also featured; the CARA feature can be viewed here. As any scholar knows, it is one thing to do research. It is an entirely different task to get your analysis into the hands of the audiences that would most benefit from these findings. Thank you, CARA, for your not only your own important research, but also your generosity in spreading the research of others in the field.